All given recommendations are intended to help in selecting suitable materials and valve types. No guarantee can be given since performance and service life of the products depend on a series of factors on which the manufacturer has no influence. Special regulations must be observed. Please contact us in cases of doubt. 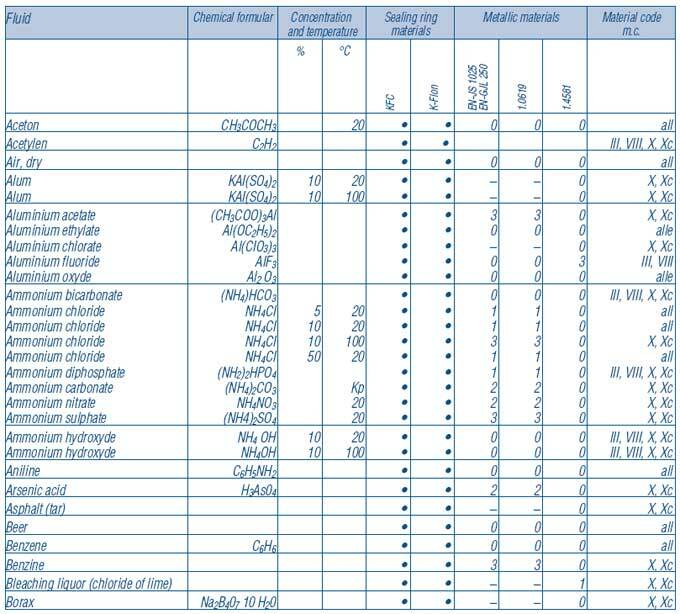 Solid media listed in the table are to be understood as aqueous solutions or suspensions.